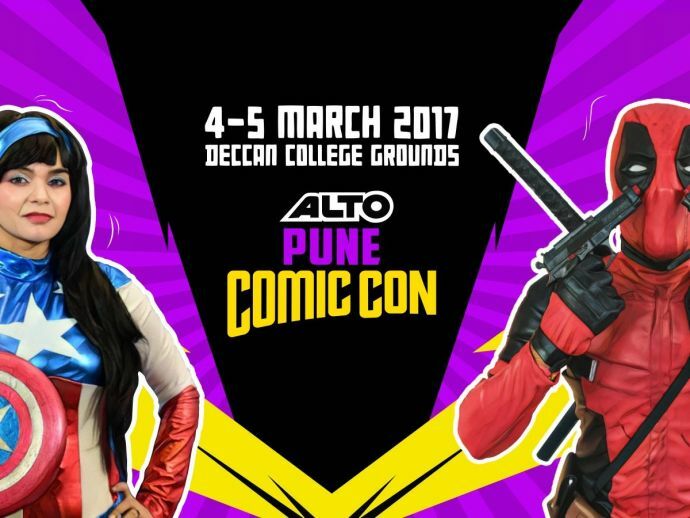 The second edition of Pune's Comic Con is all set to return on March 4 and 5. It will take place at the Deccan College Convention Hall Pune. Since the super successful Comic Con of last year. The comic con franchise decided to make the city a permanent fixture for the every year’s event in India The second edition is all set to return on March 4 and 5. It will take place at the Deccan College Convention Hall Pune. Comic Conventions (Con) is an event for the geeks and pop culture enthusiasts around the world. At the previous event, pop culture and comic book giants like Marvel and DC Comics had set up shop to feature their newest merchandise based on comic characters. The highlight of the event is the cosplay competition, where contestants dress as characters from popular characters across various categories. The very first convention in India was held at Delhi in the year 2011, thereafter the franchisee has extended to Mumbai, Bengaluru, Hyderabad, and Pune. The winner of the cosplay competition will get to participate in the all-India event. The winner of that competition will qualify to take part in the final global event at Chicago later this year. According to Kavita Kataria, spokesperson for Pune Comic Con, last year around 20,000 people turned up. The Comic Con is also going to host special sessions and workshops by famous illustrators and graphic designers. The cherry on the cake is the fan meet-and-greet session with David Lloyd, the British illustrator who designed and illustrated the dystopian graphic novel V For Vendetta, written by Alan Moore. Lloyd will also conduct workshops for aspiring illustrators. There is also a good news for the upcoming talent in the city as the organisers will promote established and up-and-coming Indian illustrators and comics, who will showcase and sell their work at the convention. The experienced and best-loved artists like Anant Pai (creator of the Amar Chitra Katha) and Abhijit Kini (who gave birth to the Angry Maushi Character) are also going to be present to promote their work.